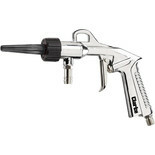 Powerful air jet clears dust, swarf, surface liquid and other loose materials in an instant. 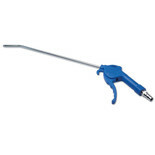 A simple short nosed probe with a thousand uses in the workshop, garage or factory. 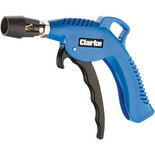 Powerful air jet clears dust, swarf, surface liquid and other loose materials in an instant. 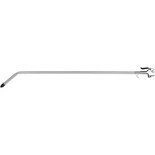 A simple long nosed probe with a thousand uses in the workshop, garage or factory. 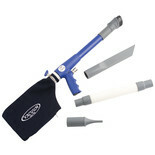 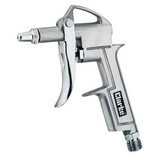 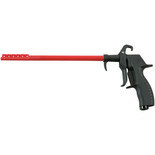 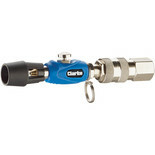 The Clarke trigger action air blow gun features a turbo Venture tip for increased air flow. 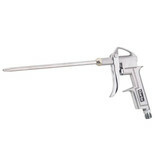 The Clarke CAT149 Air Blow Gun is a lever operated air blow gun with an extra-long lance to enable accurate air flow positioning. 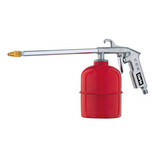 For rapid removal of dust or other particles. 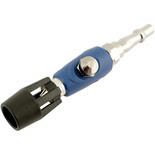 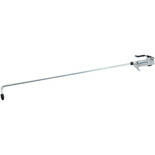 The Laser 2717 Air Duster comes with a 1/4" PCL adaptor for direct connection to a standard garage air line. 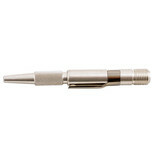 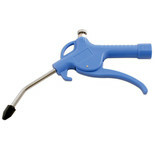 A pen style, pocket blow gun.